Item is a photograph of cake cutting at at the Vancouver Pioneer Association's Incorporation Day celebration at the Vancouver City Archives. 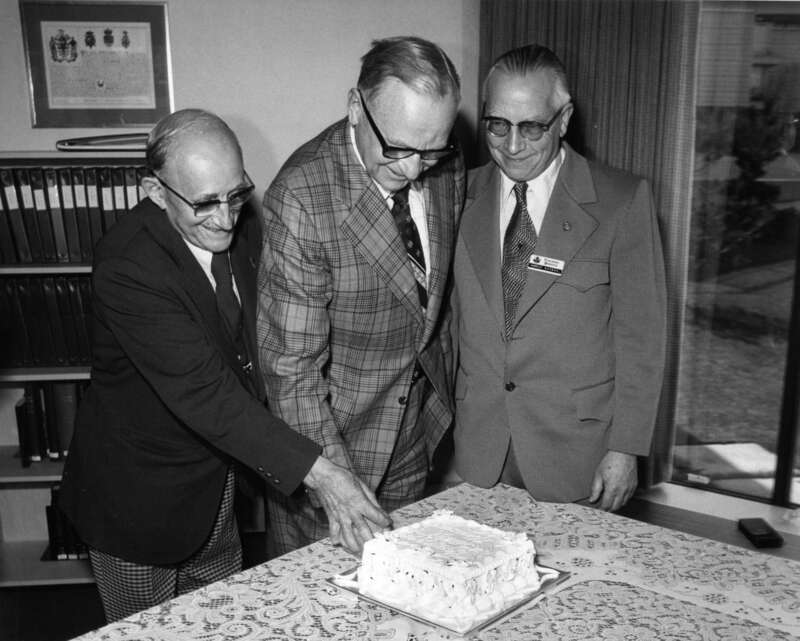 Individuals in this photograph are (from left to right): Stephen Gordon "Pete" Brown, Deputy Mayor Hugh S. Bird, Mr. J.H. Hassan. Purple stamp on verso: "B.C. Jennings Ltd. / Photography / 733-1212 / 1616 W. 2nd Ave. Vancouver, B.C. V6J 1H4 / File No. 7248 Roll B Negative 4"